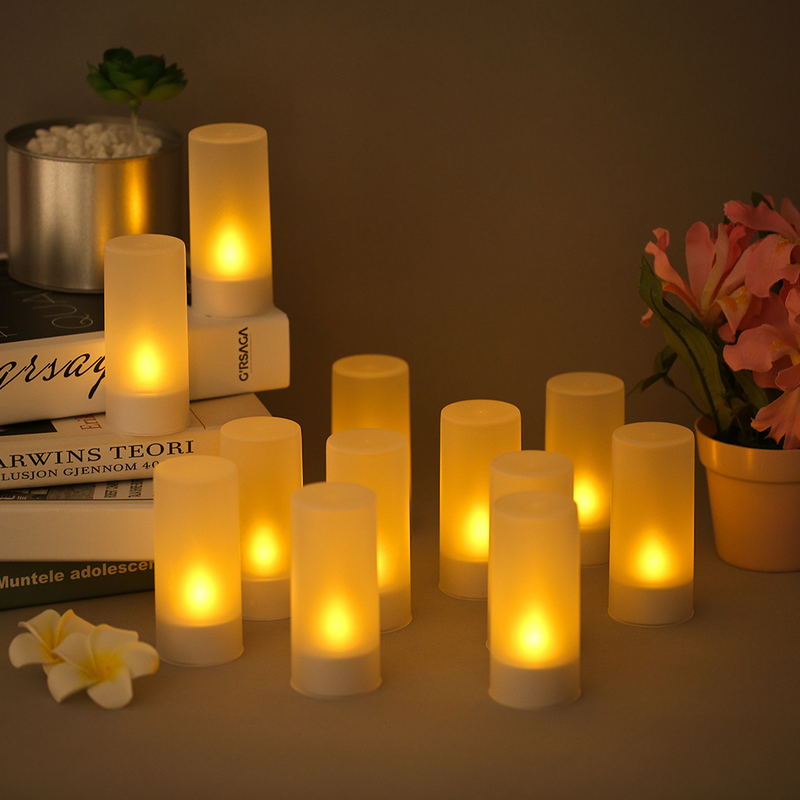 These realistic tealight candles are perfect decorations for Christmas, wedding, parties and every night. Easy operation by the on/off button on bottom. 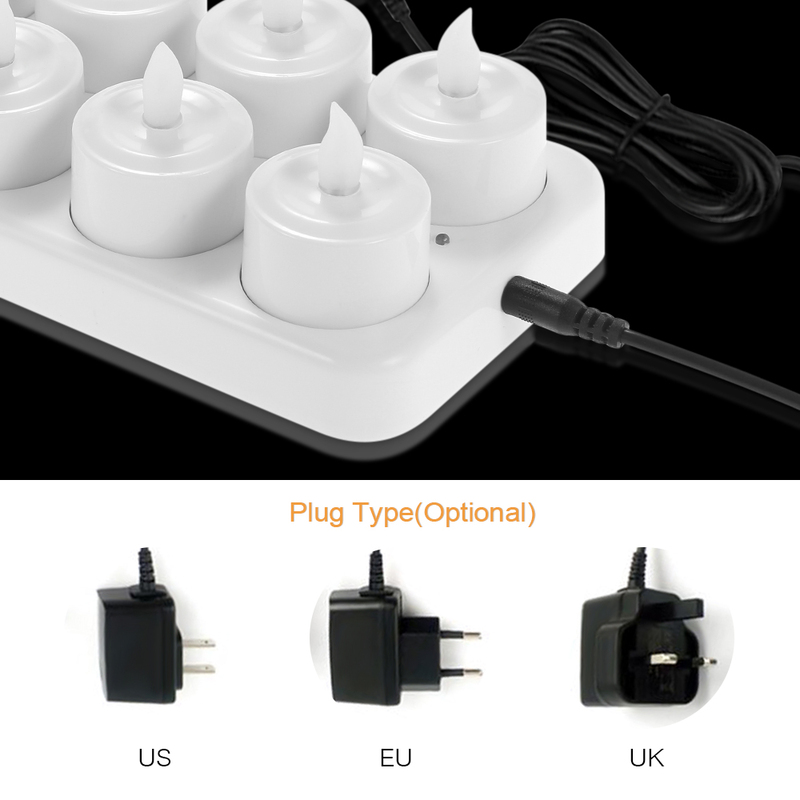 Easy to charge with charging base. 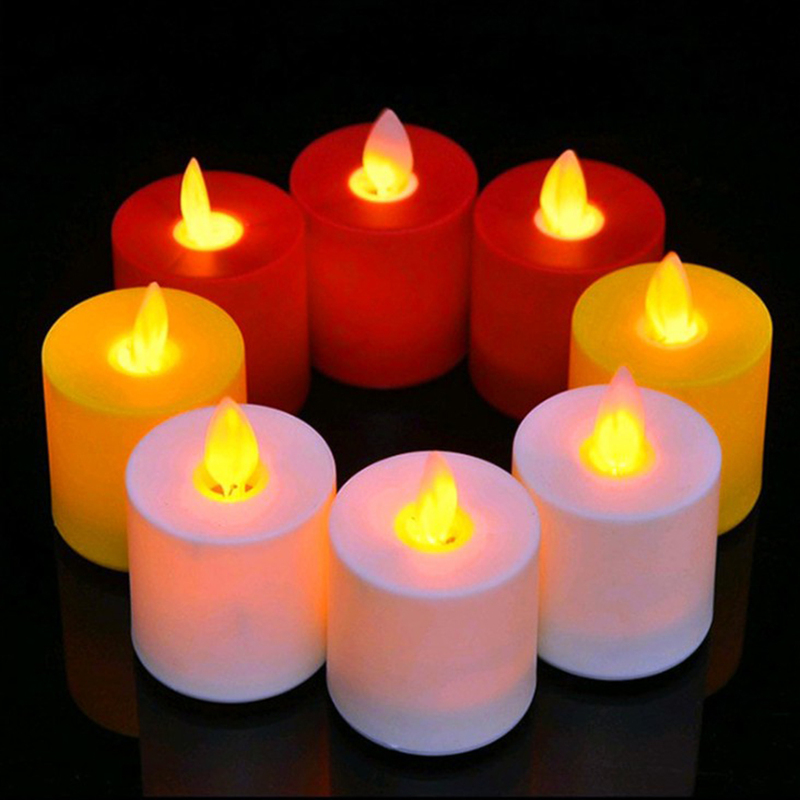 Compared with real candles, they are safer and more lasting! 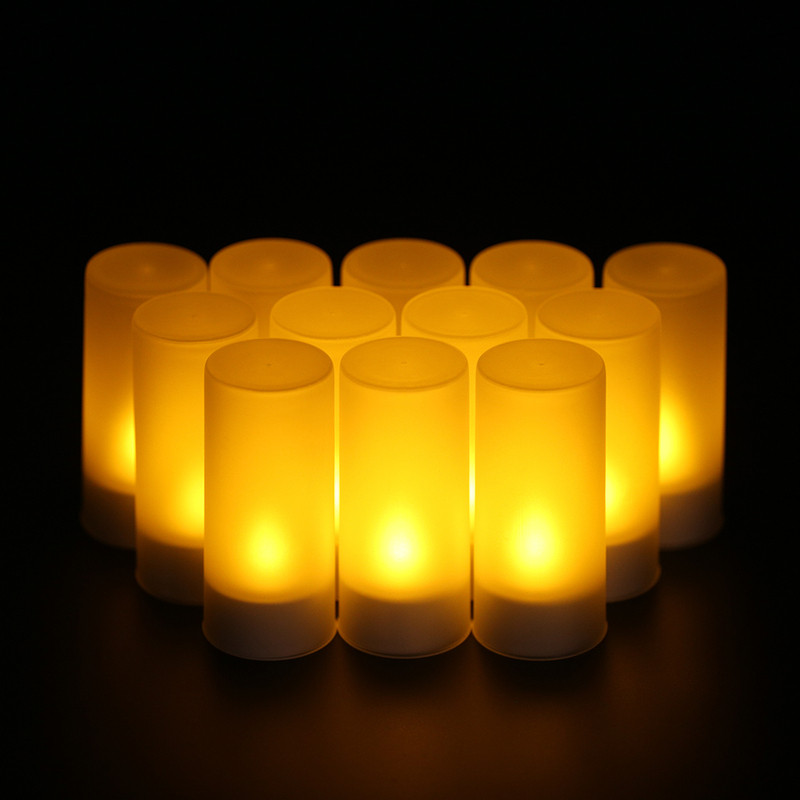 Realistic tealight candles with flickering yellow light, look warm and beautiful. Perfect decorations for Christmas, wedding, parties or every night. 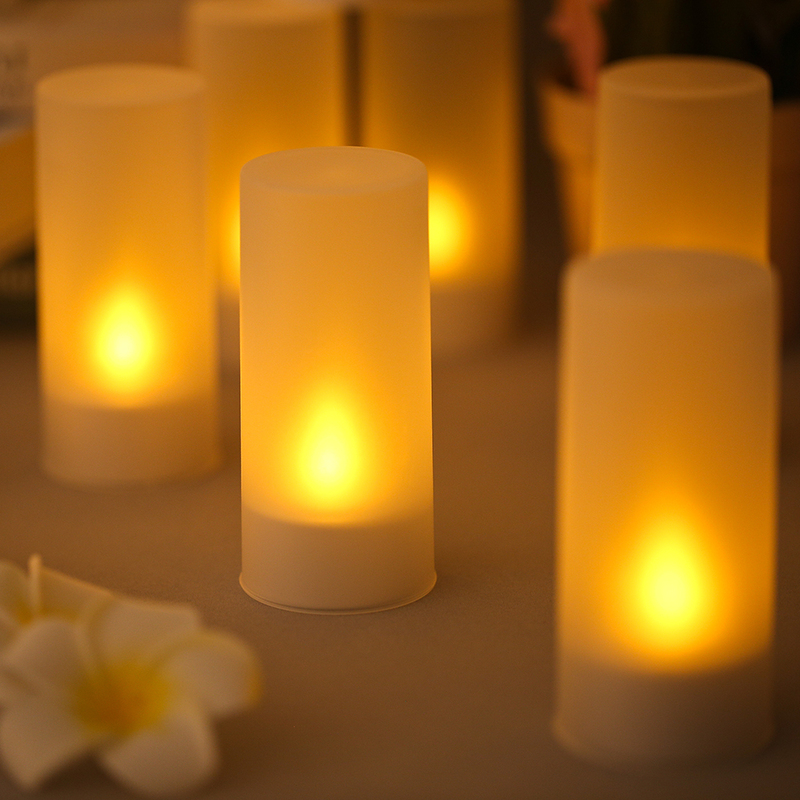 You can cover the candles by the frosted cups included to create a hazy atmosphere. On / Off button on bottom, easy to operate. Rechargeable: built-in NI-MH battery, provide over 13 hours work time after full charge. 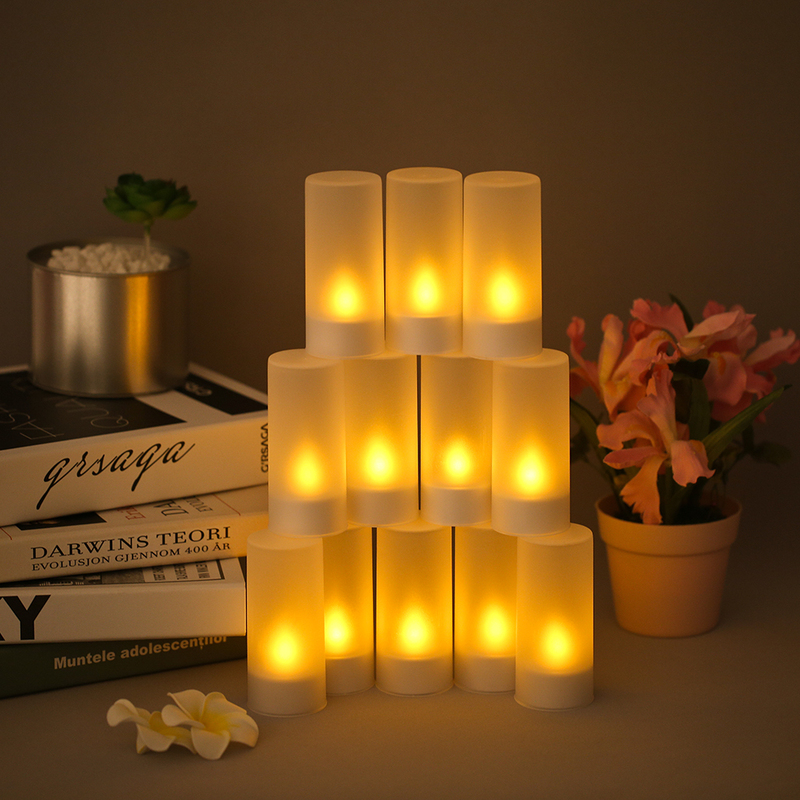 Comes with a charging base and AC adapter, easy to charge all candle lights at one time. Absolutely no fire hazards or burning risks, safe for families with pets and children. 1. The button should be "OFF" when charging. 2. 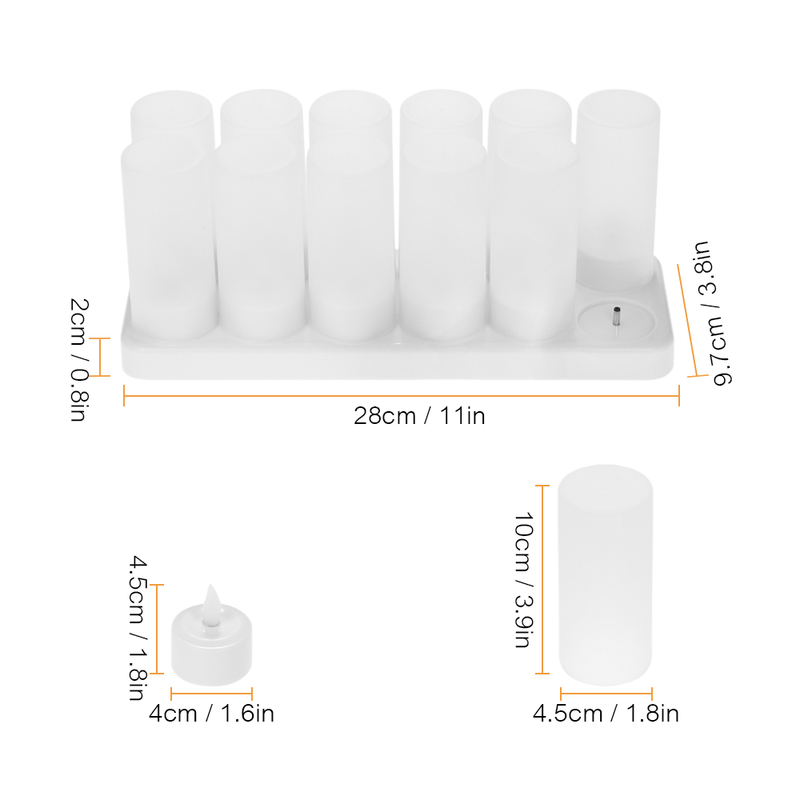 Do not charge a single candle on the charging base. 3. 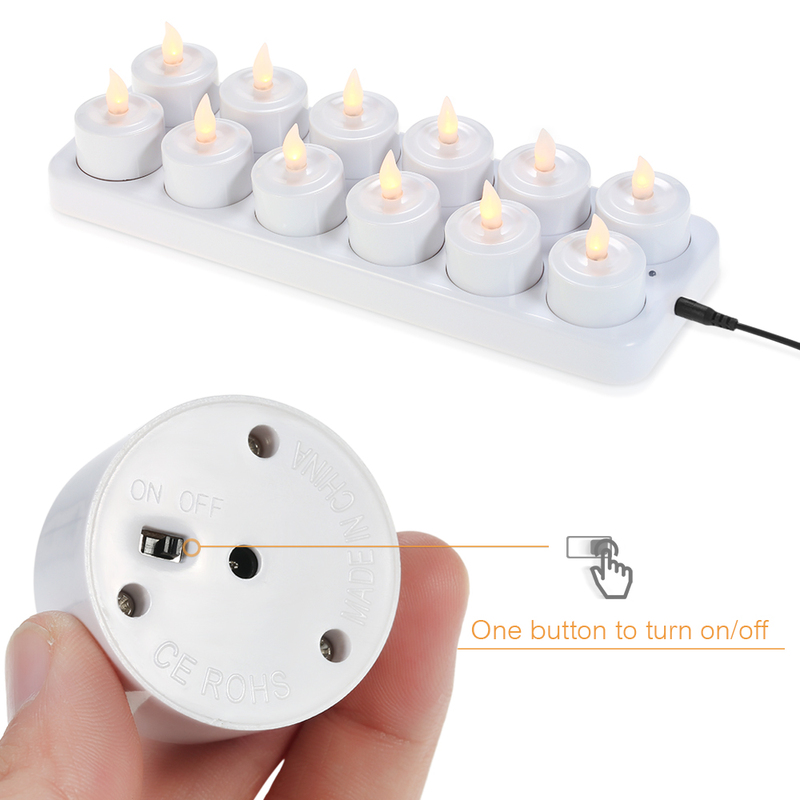 The candles should be fully contacted with the round pins of the base to avoid short circuit. 4. Lights are not waterproof.